Ridge At Hiwan - Level, end of cul-de-sac lot with HOA approved fence & fire mitigated. MLS#6714520. Berkshire Hathaway HomeServices Elevated Living RE. This is a must see home inside and out and ready for your mountain adventures. True Colorado Mountain living!!!! ! MLS#5657461. Brokers Guild-Cherry Creek Ltd.. The Trails At Hiwan - Located in North Evergreen by Elk Meadow & Bergen Peak Open Space Park, this Property is 5 minutes to I-70; Downtown Evergreen, the Lake & Public Golf Course; Buchanan Rec Center; and Bergen Park amenities. MLS#3104031. Keller Williams Advantage Realty LLC. New roof and new well in 2015. Storage shed is included. MLS#9006733. KELLER WILLIAMS FOOTHILLS REALTY. Pine Valley - No showings, OPEN HOUSE Sat. April 27 1-4pm & Sun 9a-12p. MLS#8981426. Berkshire Hathaway HomeServices Elevated Living RE. Brook Forest - Owners have paved the driveway which melts snow so fast you don't even need to plow. MLS#7098507. RE/MAX ALLIANCE. Brook Forest - Professional photos will also be posted 4/25/19. MLS#4628877. RE/MAX ALLIANCE. Westhaven Heights - Zoned SR2- so livestock is a potential option for this lot. MLS#6460737. EV REAL ESTATE LLC. 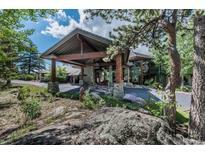 Very private location yet close to shopping, restaurants, hiking & biking trails. MLS#2108443. LIV Sotheby's International Realty. Soda Creek - Offering the ultimate in privacy and mountain living! MLS#8919403. LIV Sotheby's International Realty. Hyland Hills - View the Matterport 3D Tour to fully appreciate Pine Ridge Road! MLS#9889727. Colorado Is Home Real Estate Group. Hyland Hills - The heated garage could house two cars or have an nice work shop with an additional attached storage area for motorcycles, ATV's etc. . Ready to move into. MLS#2009589. Berkshire Hathaway HomeServices Elevated Living RE. Sauna is wired but needs heating element/stones to function. MLS#5650385. KELLER WILLIAMS FOOTHILLS REALTY.